Whatever gas plumbing you require, from a basic check of your boiler or other gas appliance to an emergency such as a gas leak, call now for an experienced, fully-qualified and expert plumber. We offer a wide choice of services and all estimates are free. We don't charge call out fees either: unbeatable! We take gas safety very seriously. We'll send you a plumber who is Gas Safe registered for your safety, peace of mind and to ensure compliance with legal regulations concerning gas plumbing. We follow British Safety Standards - because we don't take any risks. 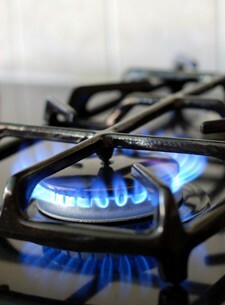 Call immediately on 0117 345 9036 and we'll offer a solution to all your gas related needs. We're on call 24 hours a day for any gas plumbing emergency, so contact us anytime.